It was a case of jumping out of the frying pan and into the fire for robbery accused Sinoxolo Madinda on Tuesday. Minutes after being released from custody, the 21-year-old Madinda found himself back behind bars after trying to rob two plainclothes police officers with a knife - right outside the court. Eastern Cape police spokesperson Captain Sandra Janse van Rensburg said Madinda was at the Port Elizabeth Magistrate’s Court on Tuesday on a charge of robbery relating to an incident in the Swartkops area last September. At the time he had been granted bail and released, but when he failed to arrive for his next appearance in court, a warrant of arrest was issued and he was taken into custody. He appeared briefly in front of Magistrate Jan van der Westhuizen on Tuesday, who released him on a warning and told him he would be arrested again should he fail to appear for a second time. Van der Westhuizen’s words were clearly wasted. Janse van Rensburg said minutes after leaving the court building, Madinda is alleged to have approached two men outside the court, asking them for a cigarette. He then told them to follow him as he needed to show them something nearby, she said. 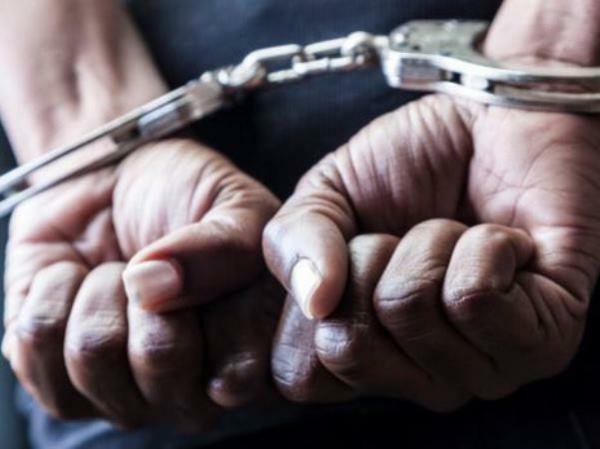 Janse van Rensburg said a short distance down the road, Madinda allegedly pulled out a knife, threatening the men and demanding they hand over their valuables - not realising they were members of the Mount Road police crime prevention unit dressed in plain clothes. He was arrested on the spot and hauled back to the police station. Madinda was charged with attempted robbery and placed back in custody. He is expected to return to court later this week.